As one of the leading screen printing companies in the state of Hawaii, JCS Enterp﻿rises Inc. has the capability to custom print quality t-shirts, tanks, polos, dry fits, long sleeves, and much more. JCS Enterprises Inc. can embroider custom work on t-shirts, polos, hats, bags, towels, and so much more. Leaving you with quality and precision embroidery. At JCS Enterprises, we have professional artists in house with years of experience that will help bring your ideas and creative works to life. Using only the best software and programs, we will have your design looking clean, sharp, and a step above the rest. 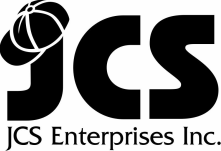 The friendly and helpful staff awaiting you at JCS Enterprises Inc. will walk you through your project from beginning to end. Getting you started with your design, sizes, custom t-shirt orders, answering questions on costs, and so much more...all with a smile!